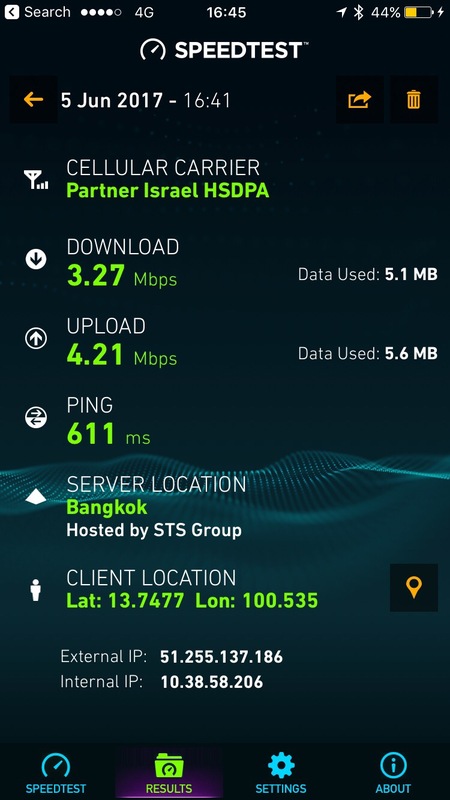 Thailand is the third country I’m testing KnowRoaming in. Frankly I wasn’t expecting any surprise since I understand how they work now. 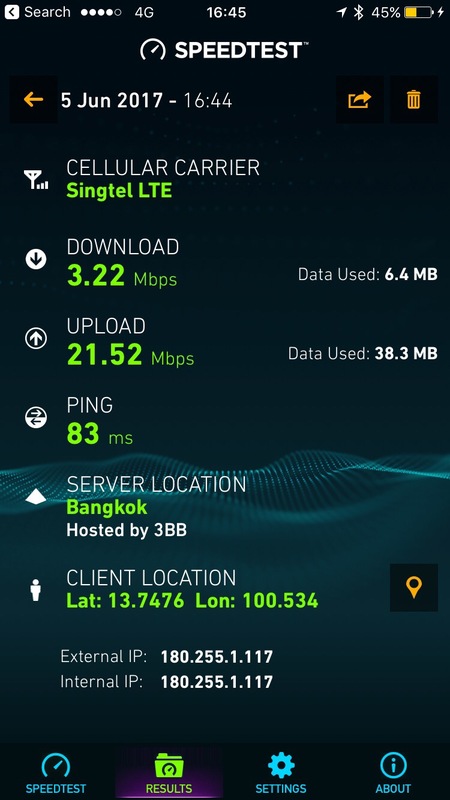 I did a quick test in Siam Paragon, a huge mall in Bangkok, so I don’t think there’s any reason for the coverage and connectivity to be bad. This is the test with KnowRoaming. The speed might look good but the latency is still bad. The test with SingTel data roaming is significantly better. The latency is only 83ms. On mobile, I would say this is pretty remarkable. Now KnowRoaming might be better in some country. I don’t know. But my experience in Japan was totally wrecked. I had problems getting my Uber, had problems loading Google map. For someone travelling, I think these are the bare essentials. I don’t know how it’s like for other SIM card sticker vendors. But if they are using the same strategy of using services with lower QOS, then I think I will stick to my MIFI or data roaming from my telco.